Metal-plastic pipes, hitting the construction market, gradually crowd out all others. A number of advantages of these products allows using them equally for both cold and hot water supply. The installation of these pipes is a simple process, but in a certain situation a special tool is required. Special attention should be paid to the quality of metal-plastic pipes, especially if the water supply is planned to be hidden. 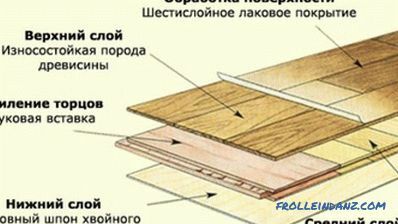 Good products should consist of five layers, which we describe below. Molecularly compacted or cross-linked polyethylene. 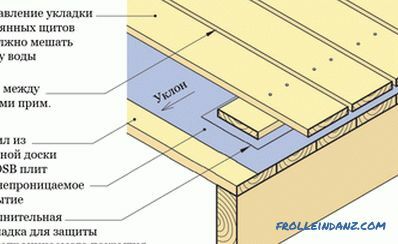 Adhesive composition is used special, as it is required to fasten two different materials . This design gives a number of advantages to metal-plastic pipes that are inaccessible to steel counterparts. A distinctive feature of the structures is anti-corrosion resistance, and thanks to the aluminum insert, they are easy to bend and give any desired shape. It is recommended to start distributing metal-plastic pipes from ball valves on the riser, the main requirement for which is high quality, i.e. they must withstand pressure up to 60 atmospheres and temperatures up to 150 degrees. Beware of Chinese fakes, because the integrity of the entire system depends on the quality of the crane - it helps to stop the water flow in case of a breakdown. A ball valve (coarse filter) complete with a water meter is installed after the ball valve, then a fine filter is attached, followed by a pressure reducer and a collector at the end. 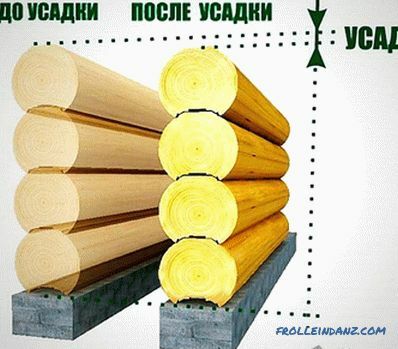 From the last element of the system is the direct distribution of pipes. Filters in this system are mandatory, as they ensure proper level of protection of sanitary products, preventing the ingress of sand and metal particles, which are in abundance in the risers. The collector helps to evenly distribute the water flow between consumers, so its role is significant. It can have from 2 to 4 outputs. If you need a collector with a large number of holes, then you can connect several pieces together. When installing metal-plastic pipes with your own hands, the use of collectors is mandatory. During repair work in a sanitary room, ball valves help to shut off water in one consumer, without disconnecting others from the water supply. For each such product must go a separate pipe. Manifolds must be installed on metal pipes after pressure reducers. 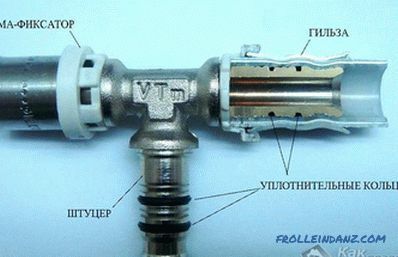 Pipe connection is carried out through fittings: press fittings (pressed) and screw (compression). 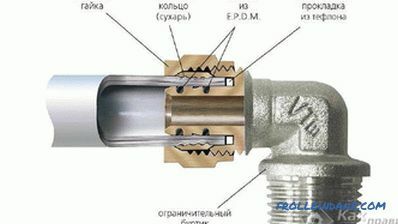 Compression fittings connect two elements account arising on the open ring pressure in the process of tightening the nut. Docking pipes with these parts can be carried out without special tools. For effective tightening, a pair of wrenches is enough, one of which twists, and with the help of the second it turns out to be a reaction. Important point: it is recommended to conduct wiring from the collector to a specific product without additional connections, that is, in one piece. 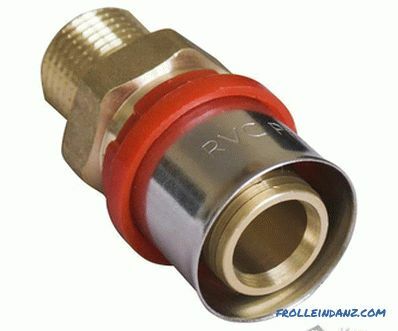 This feature of the connection is due to the characteristics of the compression fittings. If metal-plastic pipes are laid under a tile or mounted directly on the floor, then restoring tightness will require some effort. Withstand high pressure (up to 10 bar). No need for threading or welding. It is allowed to use them to connect metal-plastic pipes, which will subsequently be poured into concrete. Requires a special tool - hydraulic or manual press machines. With the help of special scissors, the pipe is cut strictly at an angle of 90 degrees. Calibration tools and reamers are used for chamfering. A sleeve made of stainless steel is put on one end of the metal-plastic product. Now we insert the shaped part of the fitting so that it reaches the stop. A sleeve is gripped by a manual or hydraulic press, after which the handle of the working tool is reduced to the stop. Metal-plastic pipes are excessively sensitive to ultraviolet rays, temperature changes and mechanical damage, therefore, their open laying in the presence of one of the factors is excluded. Hidden laying of metal-plastic pipes should involve holes through which one could freely get to the screw fittings. It is recommended to close them with metal removable shields or hatches without sharp edges. Mounting technology includes calibration, fitting installation, cutting and chamfering. All these processes are quite simple, but they are recommended to be carried out with a professional tool: cutters, bushings and pipe cutters. Apparatus is used to install press fittings, which in almost 99 cases out of 100 make quality connections. Manufacturers of metal-plastic pipes are completed with their special supports. 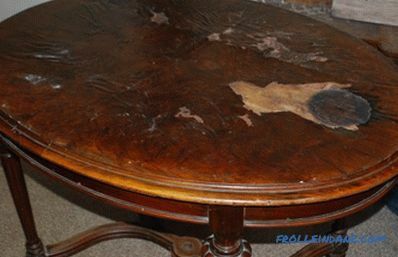 If, however, metal products are used as a reference material, then it is necessary to lay gaskets made of soft materials on them in order to avoid mechanical damage. 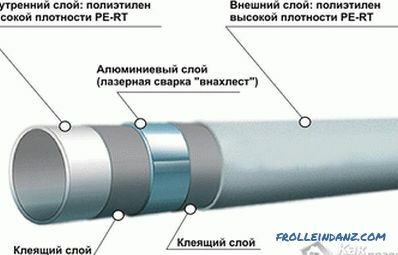 The fastening of the pipe must provide for its axial movement. It is unacceptable to fix the pipeline still. At any stage of installation of metal-plastic pipes, mechanical damage to the products (scratches or cuts) should not be allowed. Manufacturers of these products strictly prohibit the use of sharp objects for unpacking blocks. For marking use a pencil or marker. 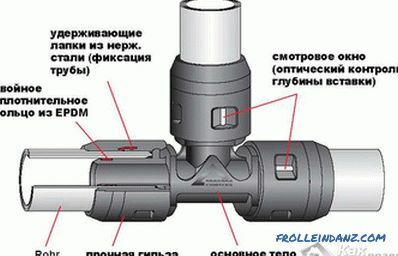 Installation of the pipeline with metal-plastic products can be carried out in several ways, one of which is quite simple and does not require special tools (using compression fittings), and the second is rather complicated and expensive, but the most reliable (using press fittings).